This mate-prefix is bit troublesome, even in Mate. For example, if you write terminal (or part of it) it doesn’t immediately point to mate-terminal. I also think that Mate apps is the proper way. The CSD and headerbar stuff will be very difficult to maintain. Mate apps are already maintained by the Mate team. I think that for 18.04 the switch must be done. The only thing that must be considered is whether to use Caja or a patched Nemo. Or maybe keep nautilus until 18.10 with another file manager installed by default(caja or nemo). Something like gnome-terminal and xterm lived together for years. I think also that unity-tweak-tool must be installed by default and there must be basic integration in unity-control-center (like gufw). It seems that everything related to gnome will be difficult to maintain. The apps will look even uglier in other DEs. I tried gnome-calendar in XUbuntu 16.04 and it was disaster. Huge bars, almost unresizable. I certainly up-vote this suggestion. MATE applications are more friendly to Unity than GNOME’s. And I’m glad Martin jumped in right away. 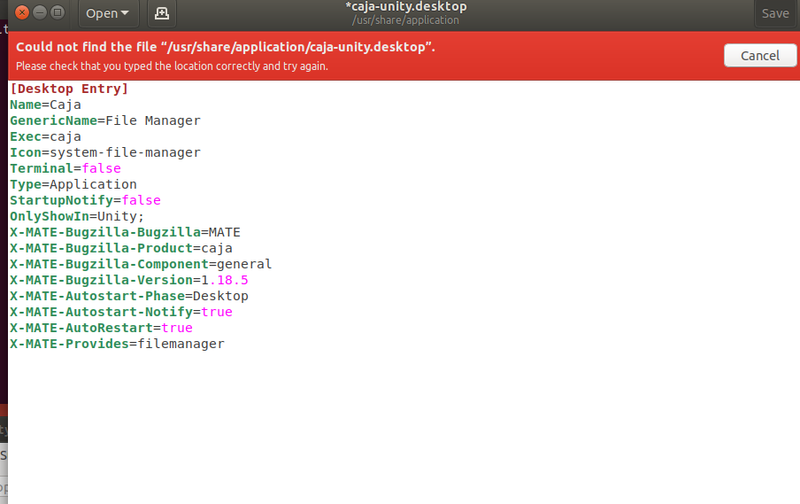 I also would like Mate apps to be with the future Ubuntu-Unity. It would be nice to have Caja to be the File Manager, and take over the desktop. Only, even in Mate, take off the word Mate in front of Mate Calculator, Mate Terminal, Mate System Monitor, Mate Dictionary and so on. Let they be Calculator, Terminal, System Monitor etc, and let everyone know, if they use Mate, they are getting everything Mate, so they don’t have to keep on writing Mate. Let Caja be just Caja, so everyone knows it is the file manager, but if anyone write (in search) file m…, it should open Caja. Right now, we get an app called “File Management,” not Caja. When you write Text…, you get Pluma, but not as the first choice, so writing Text and clicking Enter won’t open Pluma. 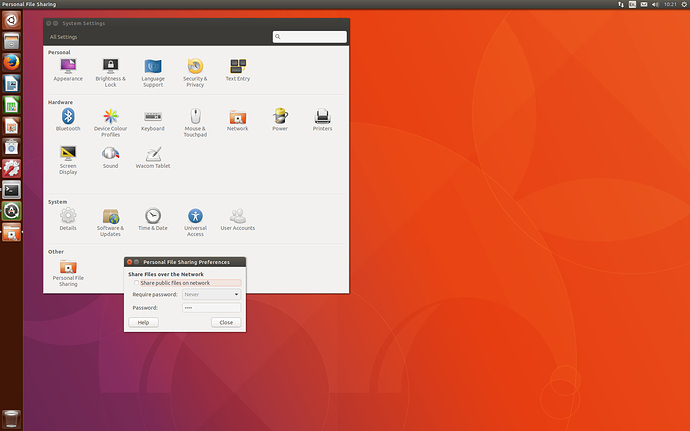 Just having a coffee and a play with mate-user-share on Ubuntu Unity. It’s stands alone and making some minor changes to the .desktop file exposes it in Unity Control Center. That modification could be carried as a distro patch or upstreamed. As for Caja, I will look into to this. Like I say, this does need some careful evaluation. I’ll report back when I have findings. You don’t need to convince me that the MATE prefixes on some application names is ugly. I completely agree. I’ll start the conversation upstream to drop that. 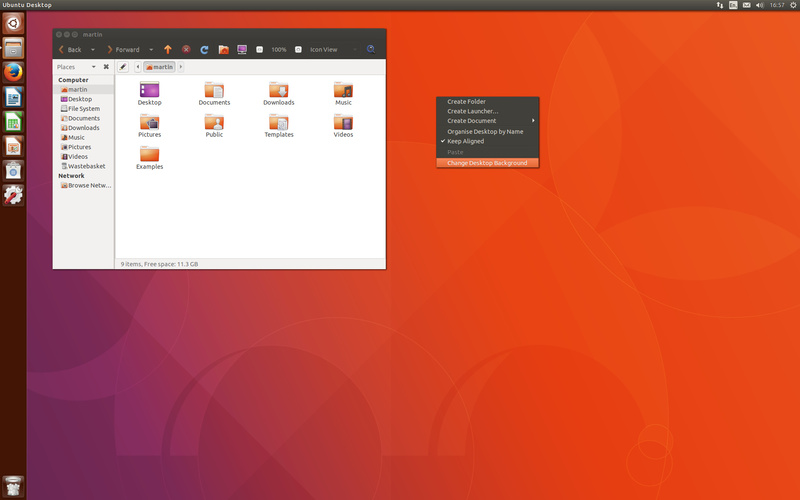 I tried to suggest to use MATE DE as default desktop on ubuntu-desktop mailing list in Bionic Beaver, but with no luck. But anyway the OP idea is great. I wrote this message from Ubuntu 16.04.3 LTS with MATE DE and I’m very happy with it, it just works. Thank you, Martin @Wimpress, and whole MATE team! Search for Caja in the dash, open it, lock Caja to the Unity Dock and move it to the top slot. Use dconf-editor to change the picture-filename to /usr/share/backgrounds/warty-final-ubuntu.png in /org/mate/desktop/background. Now reboot. When you log in Caja should be managing the desktop. All of the above can be accomplished automatically via simple packaging changes and gschema overrides. Right clicking on the desktop provides an option to Change Desktop Background which attempts to launch mate-appearance-properties. That will need a patch to launch to appropriate Unity alternative when the desktop session is Unity. Any nautilus-thing extension would need to be replaced with Caja alternatives. For example, caja-sendto. Does Unity Control Center expose UI to configure Nautilus? If so those would need changing to reference Caja. caja-file-management-properties.desktop could also be modified so it is exposed in Unity Control Center. Trivial, but not essential. There are likely mime types configured to make Nautilus the default file manager. Those would need changing to reference Caja. It seems that switching to mate apps is acheiveable for 18.04. Very impressive! Right clicking won’t change background, but everything else work. Everything in Unity Control Center works. I don’t know where are the mime types, to check them. On right clicking inside Caja, Open Terminal here is not there. Right Click>Create Document opens a list of all documents in all folders in Home and “Empty File,” only on the bottom. This happens within Caja and on the desktop. That right click has to link only to “Empty File,” not to show all documents. EDIT: Checked again. That Right Click>Create Document opens a list of all documents in Templates, not all documents in Home. Checked with Ubuntu Mate, right clicking inside Caja, you can open the Terminal and also Open Caja as Administrator. These are not in Caja in Unity. @tsimonq2 Is currently working on bringing caja-eiciel and caja-seahorse to the Debian and Ubuntu archives. I installed it manually when i did a build from the mini.iso and Khurshid orginally wanted it removed but left it in ( I assume) in the Meta pkg. This thread is more roadmap/development. Can we centralize some of these threads into a ubuntu-unity development sub-forum as you suggested ? Are you using this one? How to create that defaults.list? This is just awesome. It is a no brainer replacement for nautilus. This, definitely part of the development scheme. Awesome, we just found solution to gnome-user-share problem. I’ll be doing an ISO build with caja and mate software as includes later today or tommorrow. Anything else I should put in there for experimental?